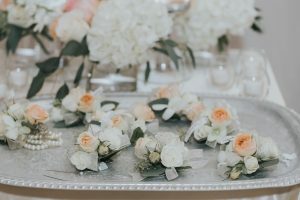 Florals and decorations can be a daunting part of the planning process—trying to be creative, keeping up with trends, and staying within budget. At HORIZONS, we are so fortunate to have Petra Yanna as our Creative Director and Florist (pictured in the cover photo by Brian and Stacey Photography and Cinema) to work alongside our brides. After sitting down with her, we are excited to share her story and advice with you! Petra’s journey with florals and décor began in Germany when she was deciding what to go to school for. Because she loved to play with flowers as a little girl, her mom encouraged her to look at floral design. Thankfully, she liked it and now has 39 years of experience with her floral design and business management degrees. Greenhouse was her true passion, but when she moved to America, she got into the wedding business. Stemming back to her greenhouse roots (I couldn’t resist the puns), Petra’s favorite arrangements to make are garlands and greens. She especially likes to work with eucalyptus. This is good news for all of you future brides—eucalyptus is the current wedding décor trend! 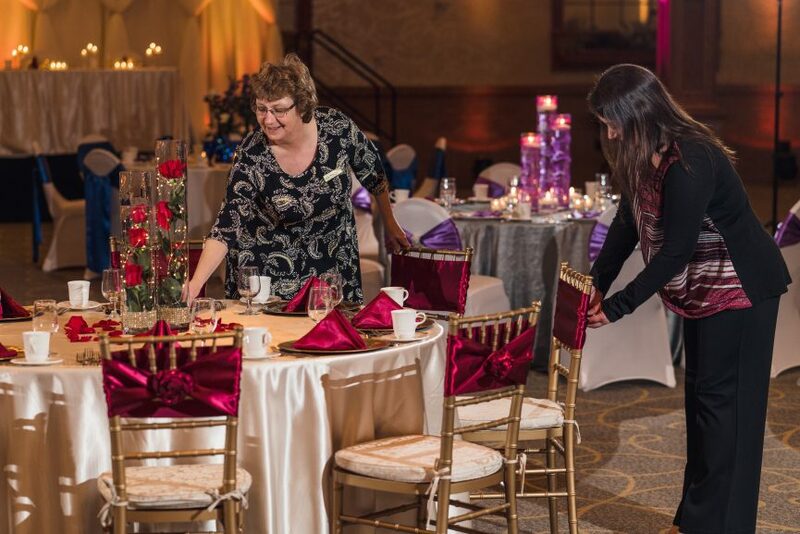 Petra has been with HORIZONS for eight years helping couples design their day from bridal bouquets to centerpieces. 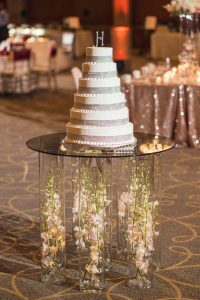 Brides are often unsure how far along in their planning they should be when reaching out to new vendors. 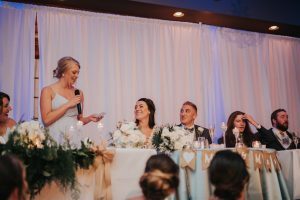 Petra advises brides to come to their first visit with their theme, colors of bridesmaids’ dresses, and budget already set. If you are following a tight budget, have no fear. Many of the popular floral and greenery designs can be substituted for cheaper versions. 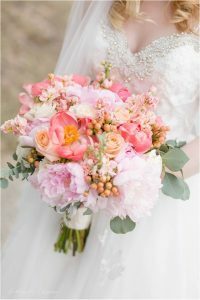 For example, Petra tells us that peonies, a popular but more expensive flower, can be swapped for open roses to achieve the same look for less. This goes hand in hand with finding flower dupes that are in season to cut costs as well! Let’s face it, flowers can sometimes get the best of us and we end up going overboard… and overspending. 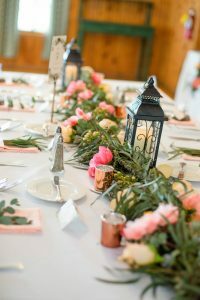 I’m sure many of you have heard the bridesmaid bouquet trick; rather than spending more on head table flowers, use the bridesmaids’ bouquets to decorate the head table! Some will simply lay them in front of their place setting and some even have vases for them to sit in. 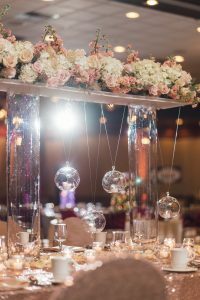 Petra lets us in on a lesser known trick as well: ceremony arrangements can double as decorations at the reception. Pinterest is a must for getting ideas and seeing your options. But is too much Pinterest a bad thing? We can’t stress enough how happy we are to have Petra and all her expertise here at HORIZONS. Hopefully with her wise words the stress of florals begins to melt off and you can enjoy looking at some beautiful blooms!